Ashley Erwin, B.B.A., M.P.A., C.P.A. 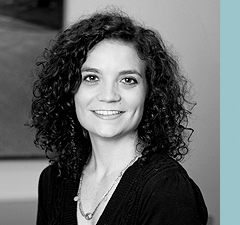 As the newest partner at Wilson, Ashley Erwin specializes in international investor relations. She coordinates and manages tax planning and preparation as well as overseeing account data for thousands of fund investors, individuals and businesses. With a Bachelor of Business Administration, in International Business from the University of Georgia, and an M.P.A. focused in Accounting Information Systems from Georgia State University, Ashley continues to offer tax services that combine her international proficiency, technical savvy and problem-solving skills. Wilson encourages work-life balance for its partners. To that end, Ashley is always on the go, both within and out of the office. In her spare time she runs, practices yoga and Pilates, and studies herbal medicine. Ashley and her husband, a musician, also have a passion for travel. From touring small towns in Maine, to enjoying the nightlife in Manhattan, and getting engaged in Scotland—they're always ready for the next adventure. For volunteer work, Ashley leads a foot clinic at a downtown community for the homeless. She continues to be inspired by the strength and kindness she finds in the people there, every day. Since joining Wilson in 2002, Ashley has become a certified public accountant, completed her M.P.A., and more recently, studies German at the Goethe Institute. As a valued Partner in the firm, she continues to offer the latest knowledge in global tax expertise to our clients.